If you have depression, anxiety, or any other mental or physical disability that is effecting your ability to work, wait no longer to call Johnson Law Office to get the benefits you deserve. As a Registered Nurse and experienced attorney with over 20 years of combined medical legal experience, Michelle Johnson understands your physical and mental illnesses and resulting disabilities. These days, most people are learning that the majority of disability claims are denied the first time. If you file a disability claim and it is denied, come to us and we can help you get those benefits you deserve. In order to qualify for Social Security Disability, you must have worked a certain amount of quarters in the past 10 years. If you haven’t been able to work the specific amount of time, there is still a chance for you to qualify for Supplemental Security Income. 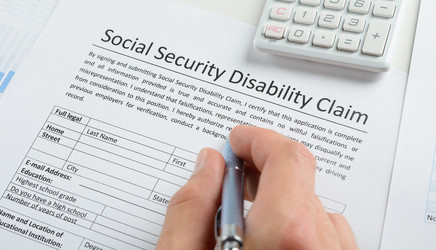 SSI is a type of government benefits program available to those who are disabled and indigent. If you are disabled and not eligible for SSD, you may be eligible for SSI or a combination of both. Call us today to see how we can help you!